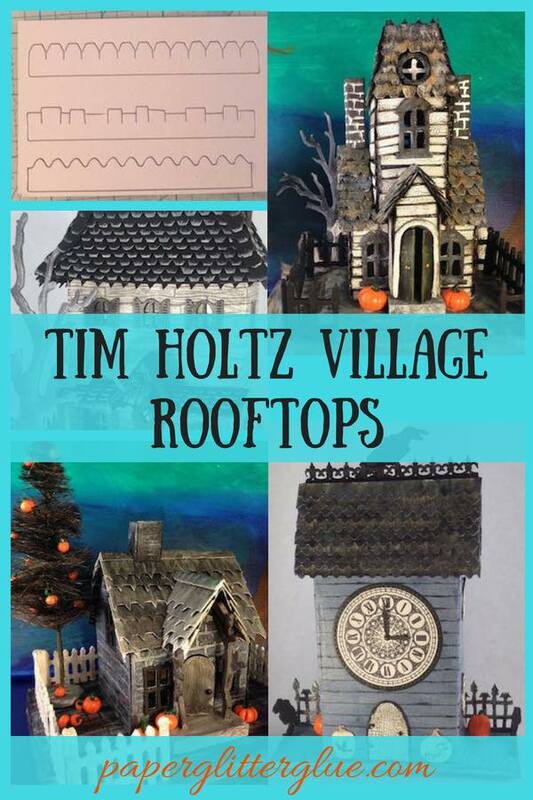 When the Tim Holtz Village Rooftops dies from Sizzix arrived to my own real house, I was so happy because it added so much detail and personality to my little houses. I have used them on almost every house since then, I think. 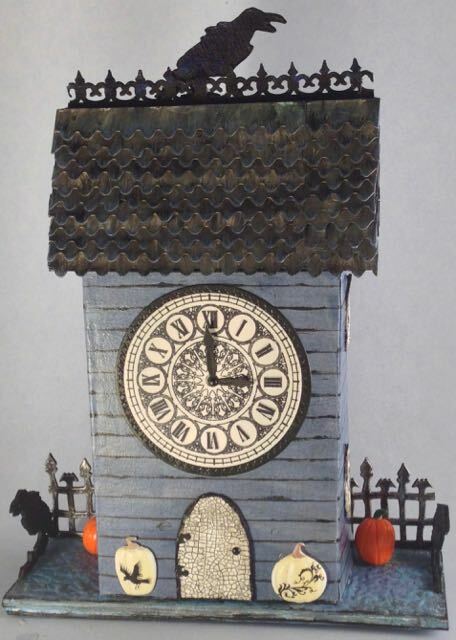 Bat Clock House with the Village Rooftops shingles. This die makes shingles that look like wooden shakes. 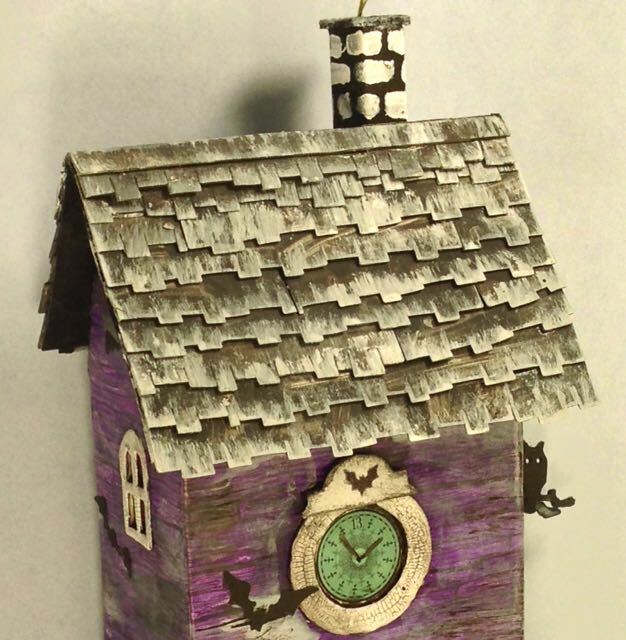 Raven’s Crest Clock House was made with the wavy-shaped die shingles. 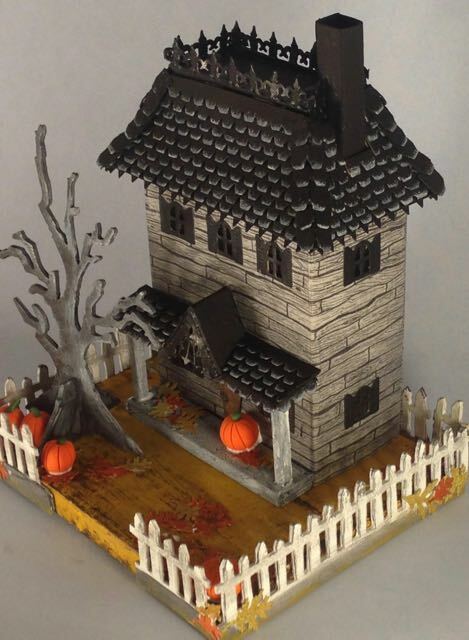 Overview of the Widow’s Walk roofline with more traditional looking shingles – except that I outlined them in white to distress them for Halloween. 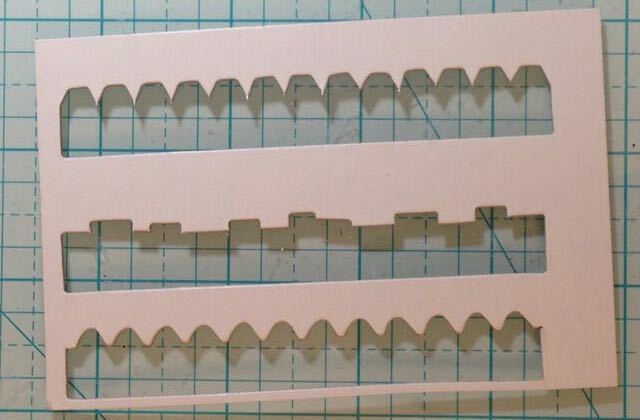 One cool thing I noticed is that the off cuts can be used for rooftops as well. 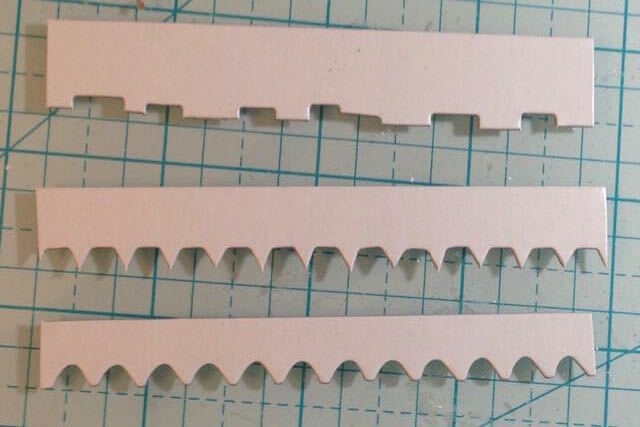 You can see a little bit of that on the Widow’s Walk Rooftop where I used the off cut around the edge to give some spooky spikes to the edge. Here are a few photos of the dies and how the off cuts can be used. 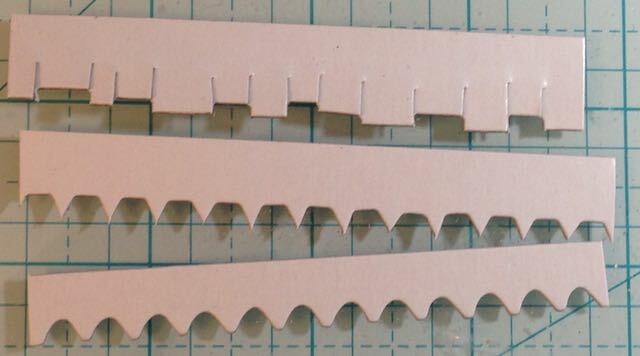 Rooftops cut out in cardboard. Rooftop off cuts. 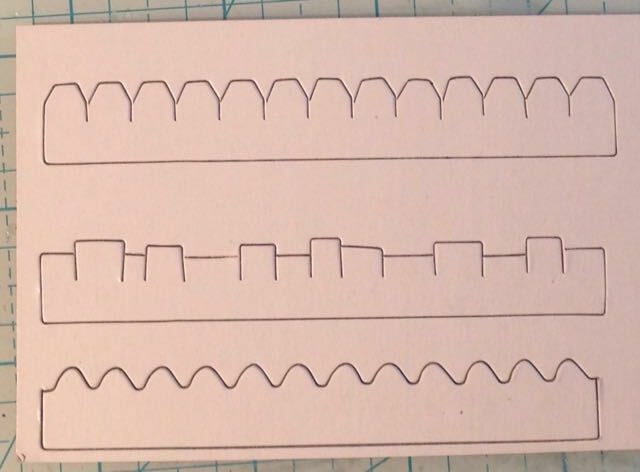 Can you see the potential for using these on a rooftop? 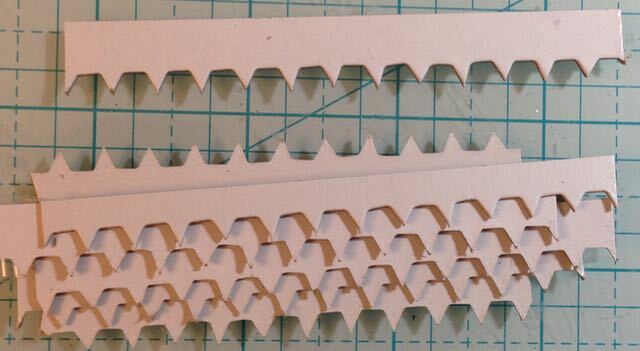 Off cuts separated from the cardboard at the sides. Now they are starting to look more like shingles. 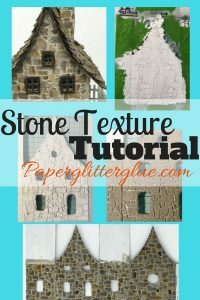 Make a few cuts in the top leftover piece to make more shingles. Sometimes I combine these with the regular shakes so you don’t have to cut out as many. 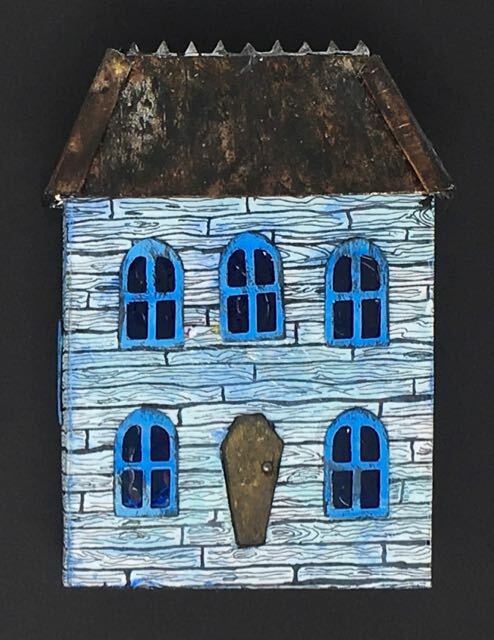 I think these shingles look a little spookier than the others. I have just the house for this one. 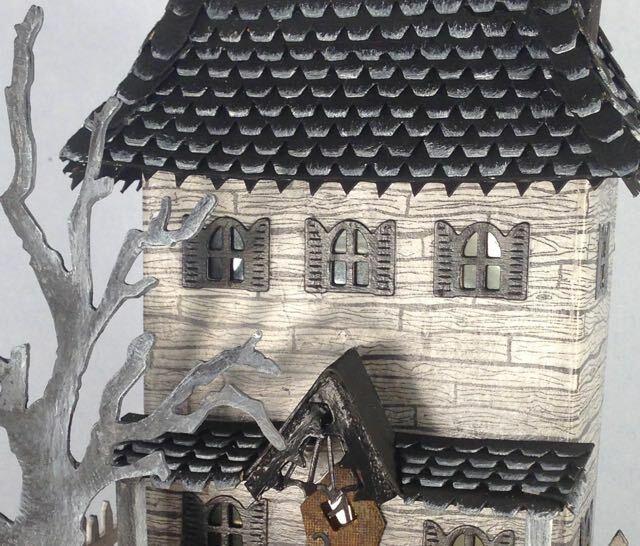 This particular set of leftover from cutting out the shingles makes a spookier rooftop. 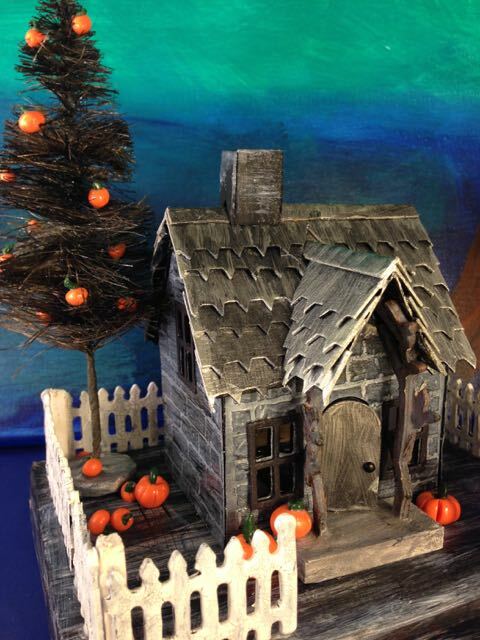 While this little Halloween house has a rusted roof, I used the spiky detail to outline the Widow’s Walk. 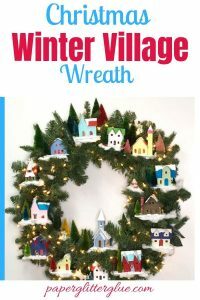 So if you are cutting out a lot of shingles for your little houses, be sure to save the off cut pieces of cardboard or card stock so you can save time and have even more options for decorating your little houses. As I have said before, I love this die. 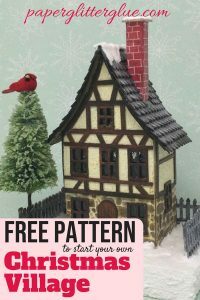 It has made making the roofs so much more fun. Now I don’t have to cut out shingles by hand anymore. 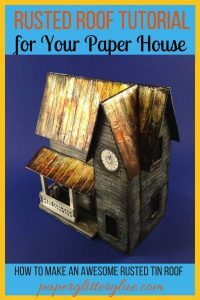 Pin to your favorite Pinterest board for ideas on your next paper house. The houses in this photo are the Haunted Manor, Widow’s Walk Halloween House, Spiky Shingled House and Raven’s Crest Clock House.